Gary Wolfram discusses Keynesian economics and the factors that pulled the national economy out of the Great Depression. 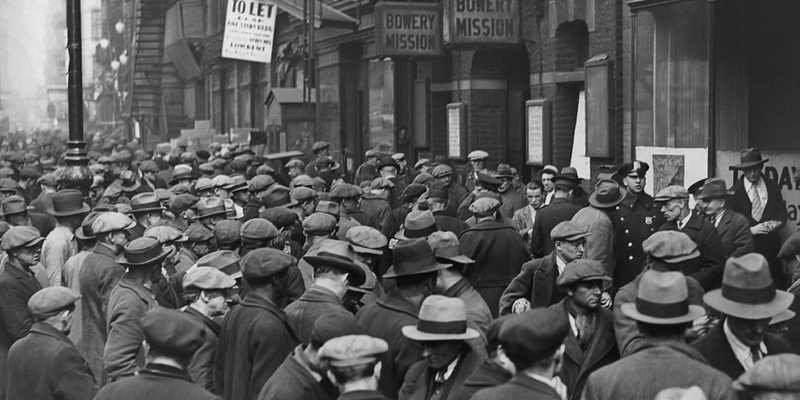 You probably heard some economist or historian claim that World War II somehow got us out of the Great Depression. The basis of this claim lies in what has come to be known as Keynesian economics. In 1936, British economist John Maynard Keynes wrote The General Theory of Employment, Interest, and Money to explain why the Great Depression had such a long period of time where labor markets did not seem to come into equilibrium, where the demand for labor and the supply of labor are equal. For years, lots of people were looking for jobs but couldn’t find them. Keynes argued that the problem was a lack of demand for goods and services, resulting in a lack of demand for labor. The way to solve this problem, according to Keynes, was to increase government spending. The simple Keynesian model states that government spending adds to total demand, which adds more to production and more workers being hired. For example, towards the end of the Great Depression, the U.S. government spent lots of money building all sorts of tanks and planes and ships and armaments to fight World War II. We then sent them all over the world where many of them were blown up fighting our enemies. But ask yourself, would it make any difference if our enemies blew up our weapons of war or if we took them out to the middle of the Mojave Desert and blew them up ourselves? Evidently, as long as the government kept spending money building new weapons, our economy would grow. Looking at this example, we might begin to question whether Keynes's theory fits with how the real world works. A source of confusion, even for professional economists, comes from the way we measure our gross domestic product or aggregate economic activity. Those statistics include not only consumer spending and factories, machines, and producer spending but also government spending, no matter what the government spends that money on. So for example, if the government hired you and paid you fifteen dollars to dig a hole and fill it up again, the data would show fifteen dollars of government spending and fifteen dollars of economic output. The same economic principle was seen, for example, in building a $15 million fighter jet and blowing it up. Neither really creates a better economy or more prosperity. If you know anyone who lived through World War II, ask them what it was really like. Ask them about the ration coupons they needed to buy even basic products. Ask if they could buy goods and services they normally bought. If we had taken all the military men and women living in tents while serving in Europe and the Pacific and instead moved them to Central Park, would anyone have said, "Oh my gosh our economy is doing so much better?" Yet both would fit the Keynesian theory of how governments could grow their economies. What really moved us out of the Depression was a combination of factors that would boost our economy today just as well. They include the increase in international trade, fewer government regulations on the economic system, and lowered corporate and personal income tax rates that were implemented after the war. If you'd like to learn more about Keynesian economics, you can listen to Lecture 7 of Econ 101.